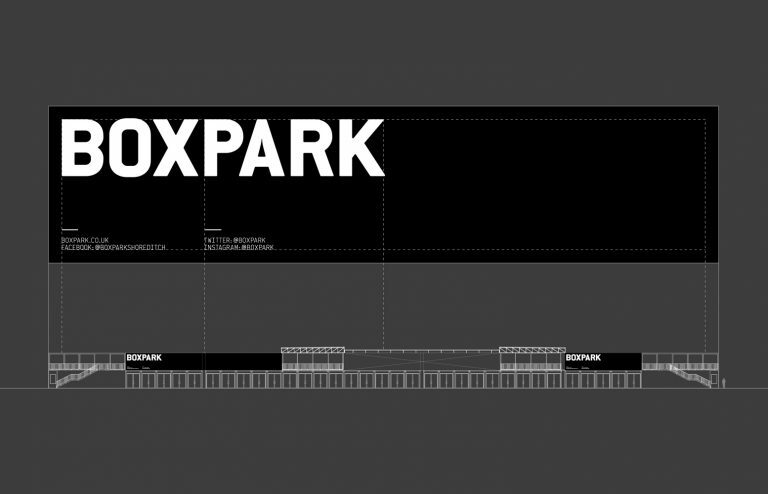 We’ve been busy refining the graphic communication at Boxpark Shoreditch. 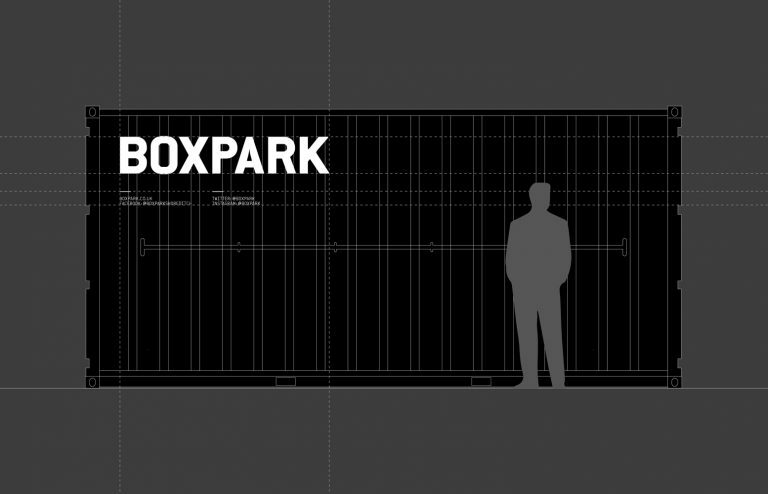 The work is part of a thorough site redevelopment for the upper deck which has greatly improved the food and events offer. Following a complete audit of all the artwork on site, we focused on stripping the communications back to their core. 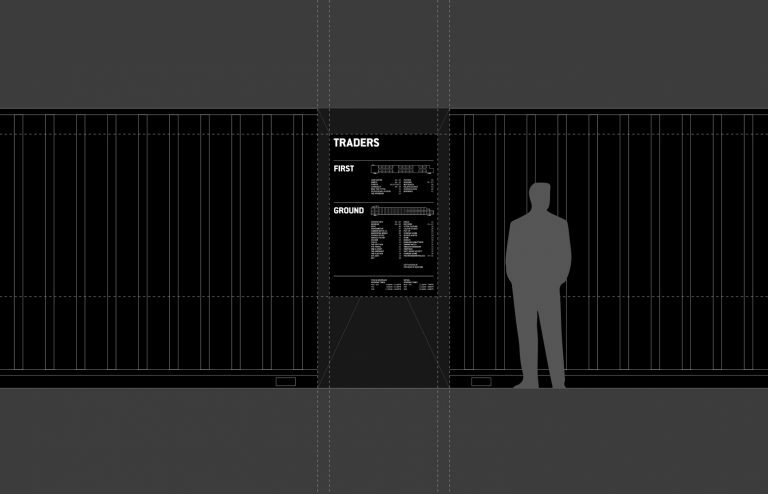 The result is a minimal exterior and a standardised graphic system that can adapt to the needs of the site. 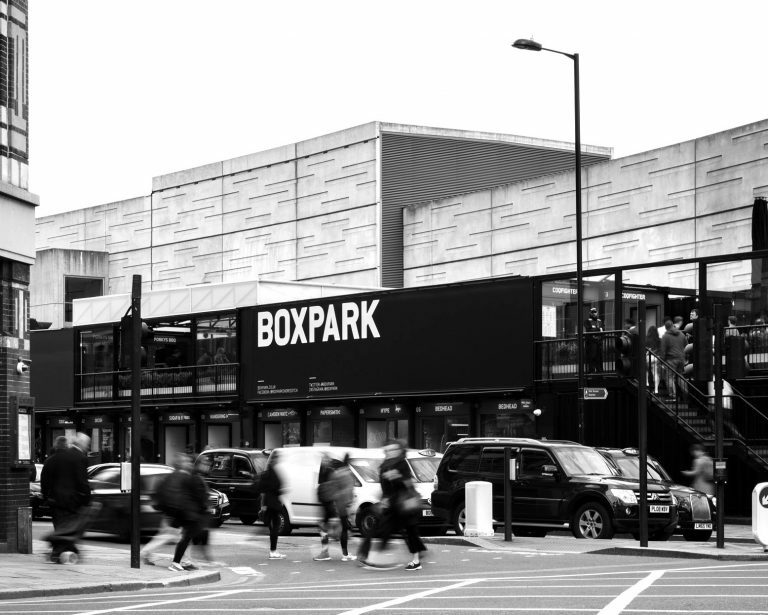 Boxpark Shoreditch has now reopened with new traders, events and exhibitions. Be sure to drop by.